The recent board of directors meeting at the Mojave Air and Space Port featured discussion on ways to honor aviation pioneer Burt Rutan. Employees of Scaled Composites, one of the companies Rutan founded at Mojave, and members of the airport community suggested adding Rutan Field to the air and spaceport’s name, to honor the man who some feel has been instrumental in the facility’s success. And while the proposal was not voted on as it had not been included in the official agenda, the board did say the suggestion would be discussed further. “The Rutan’s have been honored all over the world, therefore, I believe it only fitting that we honor them here at their home base, and add the name Rutan Field to Mojave Air and Space Port, so the legacy and history of the achievements of the Rutan Brothers will be honored and preserved right here in Mojave, for future generations,” said Cathy Hansen in support of the honor. The Rutan Aircraft Factory began business at Mojave Airport in 1974, developing the VariEze aircraft. Later, Burt Rutan designs made first flights at Mojave Airport, including: the Quickie, Defiant and Long-eze prototypes and the one and only Voyager aircraft. 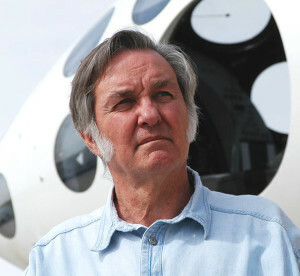 Burt Rutan broke ground for the Scaled Composites building in 1982. The company is best known for the first privately-funded manned space flight, with Mike Melvill and Brian Binnie, winning the Ansari $10-million X-Prize on Oct. 4, 2004, with Paul G. Allen’s SpaceShipOne. Virgin Galatic’s SpaceShipTwo continues test flights. The space flight expectations, created by Rutan, also continues with StratoLaunch, financed by the late Microsoft founder Paul G. Allen. “The growth of this airport can be directly attributed to the magnetic personality of Burt Rutan,” said Cathy Hansen, one of those making the suggestion. 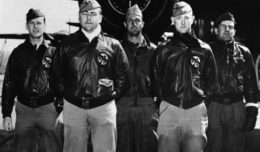 “I don’t think anyone else would have had the response of persuading the brightest and best engineers in our country to come to this little town. They just wanted to be close to the genius of this man, even if they had to come to a place that didn’t have much to offer, except the greatest airport and airspace in the world.